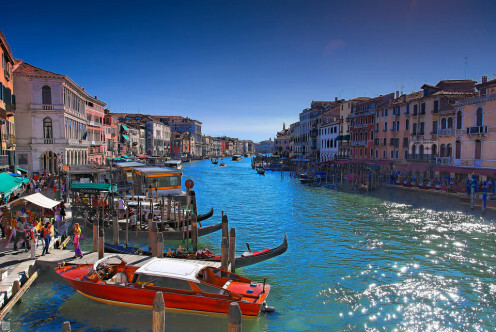 The Grand Canal runs though the centre of Venice, and along its length you’ll find some of the most breathtaking buildings and views the city can afford its citizens and visitors. 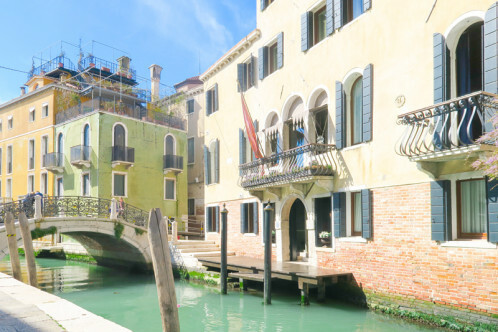 So refining your accommodation search to the best hotels near Venice's Grand Canal will ensure you some extra special views, and an extra special stay. The Grand Canal is almost 4km long and runs in an s-shape through the city, both a thoroughfare and a living museum to this city’s grandeur. Choosing one of the best hotels near Venice's Grand Canal doesn’t just ensure your views, it’ll also make your life simple when it comes to getting around - you’ll find gondolas and water taxis right by your doorstep ready and waiting to ferry you to the various museums, galleries or restaurants. And of course all out Guru’s best hotels near Venice's Grand Canal are easy to get back to when you’ve finished your sightseeing or revels. The Bauer Il Palazzo is a classic grand palazzo hotel with 82 sumptuous rooms,a romantic restaurant overlooking the Grand Canal, and a spa and rooftop jacuzzi. 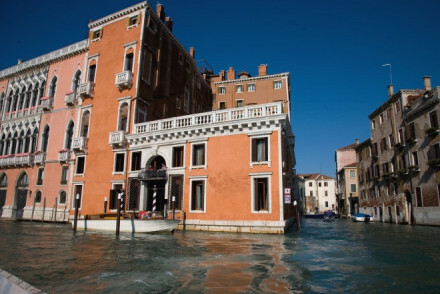 Or you might try the Hotel Londra Palace, which isn’t right on the canal, but it is right on the lagoon, which the canal opens onto, and is an elegant, luxurious mid-sized option with spectacular lagoon views and a fine collection of art and antiques. The Locanda ai Santi Apostoli is a small but stylish guesthouse with a shared sitting room and 11 bedrooms - it’s got great views of the canal from some of them, and the room rate starts at €90 per night. 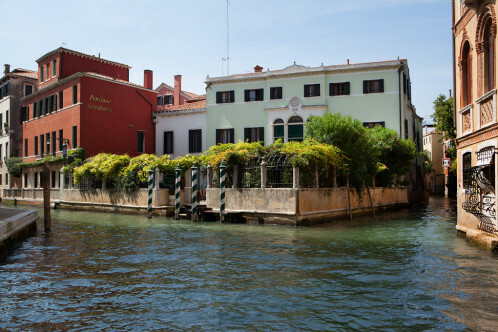 With price from €129 per night (low season) you can stay at a charming, traditional, family-run hotel, the Pensione Accademia, which has typically Venetian accommodation and some rooms with balconies right over the canal. 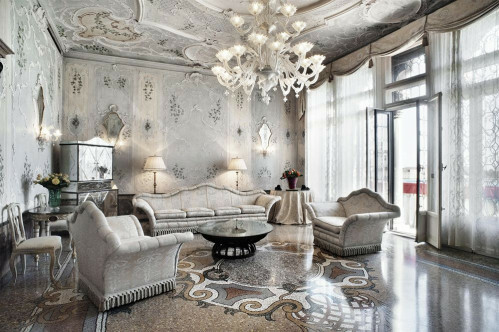 The Palazzo Barbarigo is one of the smaller palazzo hotels, with just 18 rooms with sultry, art deco decor. f your tastes run to modern decor, then Palazzina G, designed by Philip Starke, will probably be more your style, with its 22 white, glittery rooms, suites and apartments and fashionable restaurant and bar. 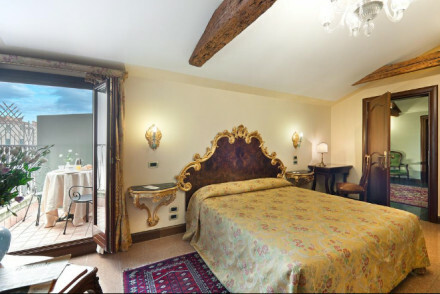 Al Ponte Antico has just seven rooms, all with gold brocade walls and elegant detailing, it’s also got wonderful views, especially from its charming terrace. Ca Maria Adele is a 12 room boutique hotel converted sympathetically from a 16th Century Palazzo, and then decorated with rich fabrics and clever ideas. San Cassiano is an elegant, great value, canal-side B&B with lovely, original interiors - like exposed beams and tapestries - but a very family friendly atmosphere. 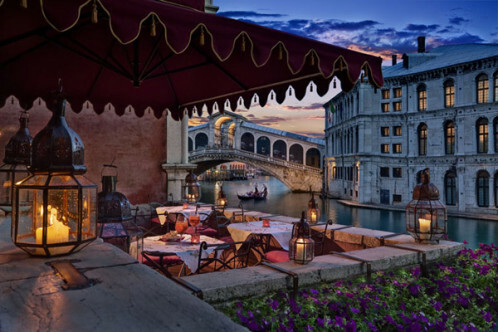 The Gritti Palace has been exquisitely converted from a 15th Century Doge’s Palace and has some of the most wonderful views in Venice, and its 82 rooms are some of Venice’s most opulent. 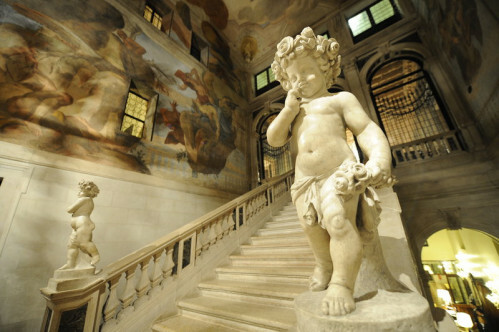 Or, for a more affordable palace stay, try the Ca’ Sagredo Hotel, which is also magnificent and very luxurious. 140 years of history meets 21st century luxury. Large, comfortable rooms enjoy views of St. Mark’s Basin. Foodies can indulge in the fine dining menu whilst interior design lovers will appreciate the lavish, Venetian decor. Centrally located, St. Mark's Square is but a five minute walk away. Writing a novel - Countless artists and authors have drawn inspiration from the hotel, including Tchaikovsky, who wrote his Fourth Symphony here. Romantic Break - Sumptuous suites, spectacular views, chic dining and beds that are almost impossible to pull yourself out of. City Style - Located on Promenade of Riva degli Schiavoni with Biedermeier style interiors and views of the Londra Palace. Sights nearby - The famed Piazza San Marco is just around the corner, as is the Doge’s Palace. 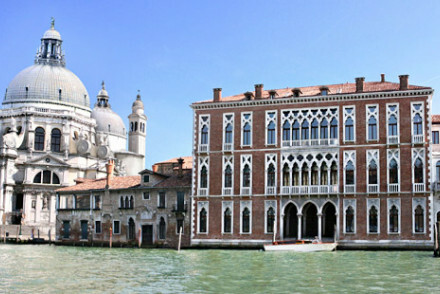 Magnificent Venetian Palace right on the Grand Canal. Plush interiors and classic Venetian style welcome guests. L’Alcova Restaurant offers panoramic canal views, wine from various Italian regions and fantastic food. Impossibly romantic. Honeymoons - This hotel drips in spendour and opulent romance- think frescoed ballrooms, palatial suites, elegant drapes and orginal artwork. Foodies - The trendy and effortlessly elegant L’Alcova restaurant serves up regional specialities with a modern twist. Sights nearby - Nestled between Ca DOro and the Rialto Bridge you're not more than a short walk or boat ride to Venice's main attractions. Local markets - The ancient Rialto Market happens just across from the hotel, a spectacle for all the senses and well worth a visit. A charming and traditional family run hotel on the canal. Typically Venetian rooms, some with private balconies onto the canal. 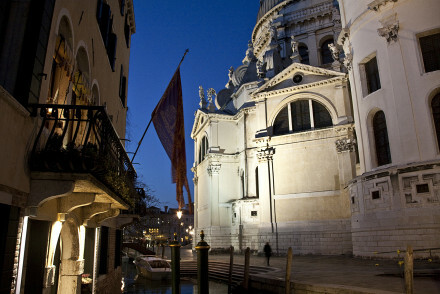 A romantic and warm atmosphere in true Venetian style. 16th-century palazzo, overlooking Basilica di Santa Maria della Salute in the Dorsoduro neighbourhood. The decor harks back to a bygone era of decadence and style. Think rich fabrics, bold wallpaper and quirky antiques. Choose one of the themed rooms for the best experience and fine lagoon views. 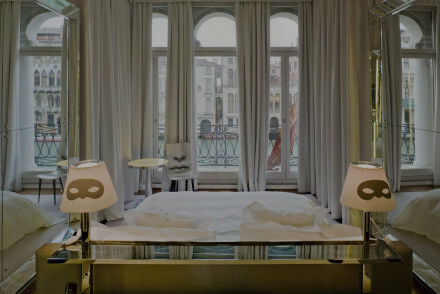 City Style - Chic hotel with fantastic views of the Santa Maria della Salute Basilica in central Venice. Romantic Break - Ornate kingsize beds and sumptuous fabrics throughout. 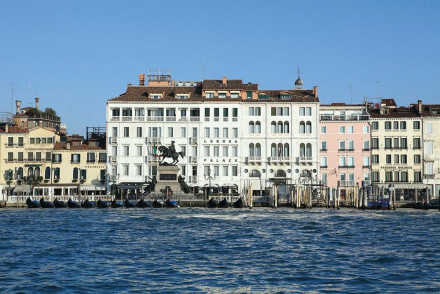 Great walks - Wander down to the island tip where Punta della Dogana hosts the stunning art collection of billionaire Francois Pinault. 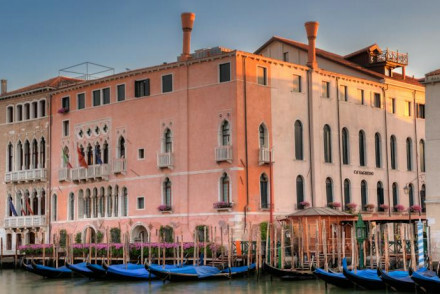 Classic grand palazzo hotel with a breathtakingly romantic restaurant on the Grand Canal. Outrageously sumptuous suites, spa facilitates and rooftop jacuzzi commanding spectacular views are all part of the five star package. Honeymoon stuff. 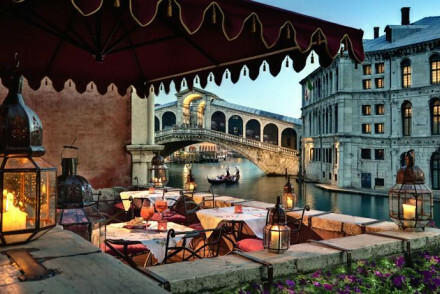 Restaurant - Enjoy stunning views of the Grand Canal below with your dinner. Views - Views of the Grand Canal. Sights nearby - Two minutes from the iconic “drawing room of Europe,” St Mark's Square. Restrictions on children - Children cannot be accommodated at the hotel. 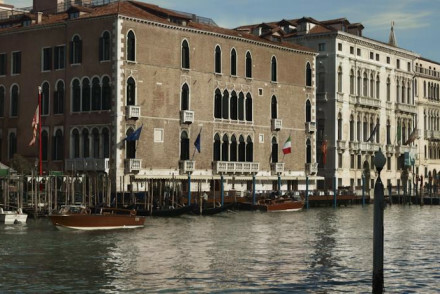 Stunning luxury hotel behind a classic Venetian facade perfectly situated on the Grand Canal. Fabulous rooms and suites filled with contemporary art, trendy designer furniture and clever lighting. 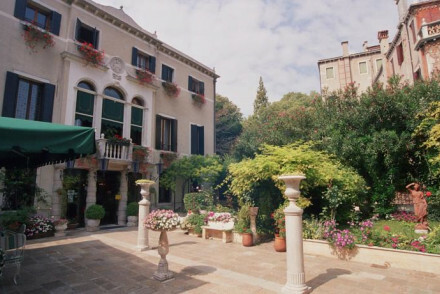 Beautiful courtyard, restaurant with terrace, centrally located. Venice in style. Brooding Venetian romance right on the grand canal. Subtly lit rooms and suites blend boudoir with art deco; plush velvetine chaise longues, theatrical curtains and sumptuous beds. A sultry spot. Exclusive, fashionista and designed by Phillip Starke. A hotel that attracts movers and shakers, glitterati, and mainly by private invitation by virtue of its new status as a members club. White, glittery rooms, suites and apartments, excellent restaurant and bar. Designer - Phillip Starke hotel. 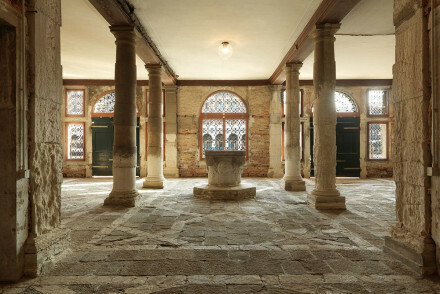 Former 15th Century Doge's palace turned beautiful hotel for all. Classic styled rooms with views to die for and marble bathrooms. Tradition and elegance meet at the fine dining restaurant, with seating over the main canal. A romantic hotel with great location. 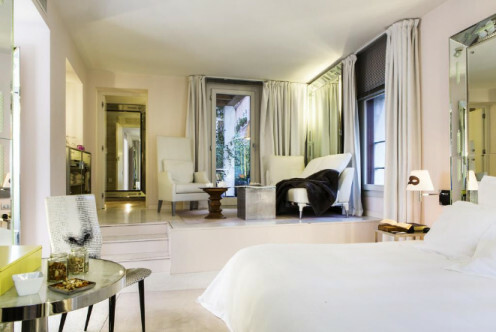 Honeymoons - Magnificant suites with hand-blown chandeliers, fine fabrics and balconies overlooking Santa Maria della Salute. Views - Overlooking one of Venice's most famed churches, Santa Maria della Salute. Sights nearby - Nearby San Marco district is perfect for exploring by foot. 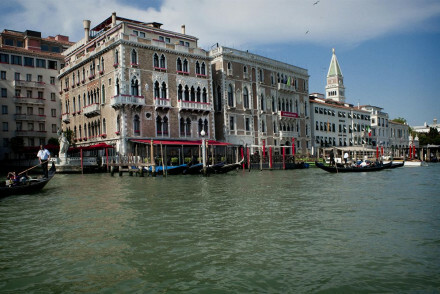 Venetian opulence on the Grand Canal - a 16th-century palace. Fabulous romantic rooms and suites have gold brocade walls and elegant beds, and are embellished by chandeliers and tapestries. Wonderful views over the canal from the terrace. A very Venetian choice. Beautiful canalside townhouse B&B. Elegantly Venetian with original interiors; wooden beams, oil paintings, tapestries, chandeliers and chintzy fabrics throughout rooms and family rooms. Excellent value, very family friendly. This stylish third floor apartment guesthouse has a sitting room, small library and views of the Grand Canal. Classically styled rooms are comfortable and come with a complimentary breakfast. Location is perfect for exploring, making this the perfect budget way to get a great view. Local exploring - A wonderfully central location, just minutes from Piazza San Marco, perfect for exploring on foot. Local markets - The hotel sits right opposite the Fish Market, a wonderfully unique experience. Sights nearby - The beautiful Piazza San Marco is just down the road.